TRAVEL.org - FRANCE. Find hotels in France, or activities, and tours. Letsgo2 Paris - Create a flight and hotel package and save on holidays to Paris from the UK. ATOL bonded for your financial protection. France for Families - Find out the best places to visit in France plus search for holiday accommodation. France Travel Guide - One stop Travel Guide to all kinds of information about France. Via France - The Internet Guide to French Events. Price of Travel in Paris - Travel budget and hotel information for Paris, France and other cities around the world. Viaggiparigi.net - Italian Paris Guide - with everything you need to plan your trip. (in Italian). The website is composed of different sessions dedicated to the hotels, the special offers and the week ends. One session is completely dedicated to Disneyland Paris, to the hotels where you can stay, and to the attractions to see. French Property Links- has property and real estate for sale in all areas of France and to suit all budgets. Ski Valdiere - Guide to ski area and village. Au Pairs - Find an au pair from France through InterExchange's Au Pair USA. Ferries to France - Compare prices in one search to find the cheapest ferry crossing to France from every port in England. France Yacht Charter - Bespoke Yacht Charter offer luxury yacht charters on the French Riviera and Cote d\'Azur. From Cannes, Monaco and St Tropez. My Luxury Chauffeur - Chauffeur-Driven Executive Car Company for Transfers or Tours in Provence and French Riviera. Paris Airport Transfers - Private Transfer Service in Paris. Car Hire France - Get cheap car rentals quickly and securely online with Firstcarhire. Paris Flights with EasyJet.com - Book cheap flights to Paris, France with Easyjet, the leading low cost airline. Paris Charles de Gaulle Airport Marriott Hotel - located 2 kilometers away from Paris France Charles de Gaulle International Airport, 10 minutes from the Villepinte convention center and Le Bourget airport and exhibition center. Wireless internet in public areas, air conditioning in the hotel rooms, safe large enough for your laptop, this Paris CDG Airport hotel offers free transfer service from Roissy-en-France's Charles de Gaulle airport. Paris Hotels Direct - Hotel Direct offers a wide range of hotels in Paris, perfect for a short trip to the French capital. Apartments in Paris - A great alternative to hotels are apartments in Paris. Paris Apartments Short Stay - Book short stay apartments in Paris. Shortstay Paris Apartment - Short Stay and short term Paris Apartments, vacation and holiday rentals. 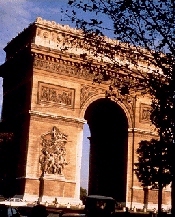 Paris apartment rentals and serviced apartments Vacation rentals in Paris. Paris Marriott Hotel Champs-Elysees - Luxury awaits at our Champs Elysees five-star hotel. With gorgeous rooms, fine dining & our luxury hotels Paris, Champs Elysees location, the Paris Marriott makes for an unforgettable stay. Renaissance Paris Arc de Triomphe Hotel - Welcome to a top Arc de Triomphe Paris hotel Renaissance, with luxurious guest rooms, fine dining & more. Holiday Apartments Paris - Holiday apartments and vacation rentals in Paris. Cheap Apartments in Paris - discounted rates on apartments in Paris. Renaissance Paris Le Parc Trocadero Hotel - Welcome to one of the premier 5-star hotels in Paris, France. With a subtle blend of luxury, charm & innovation, our 5-star Paris hotels accommodations offer all the niceties youll need. Paris Hotels - Discounts on hotels and apartments in Paris. Renaissance Paris Vendome Hotel - Plan your stay at one of the premier luxury hotel in Paris, the Renaissance Vendome. With spacious guest rooms, personal service & our downtown luxury hotel Paris location, the trip of lifetime starts here. Paris Hotels and Accommodations - Discounted rates on Hotel rooms, Car Rentals, Flights, Vacation Rentals. Discountedhotels.com, your complete travel resource. Consensio Holidays - Consensio exclusively operates luxury catered chalets in Val d'Isere, Courchevel 1850, Meribel and Les Gets plus luxury villas and Super Yachts in the Cote d'Azur. Chateau Saint Just - is a gorgeous hotel in a breath-taking castle featuring a contemporary conference centre�featuring a contemporary conference centre set in 42 acres of peaceful grounds, but ideally located just 45 minutes from the centre of Paris. TravelEden.com - Accommodation in France - For a wide selection of holiday rentals in France including bed and breakfasts, gites and apartments, look no further than Travel Eden. Holiday Rentals in France by HouseTrip.com - HouseTrip makes it easy for holidaymakers to book apartments in France. The site offers a unique collection of luxury holiday villas and apartments all over Europe. Normandy Hotels - An independent guide to the region with sights, travel and accommodation details. Courtyard Toulouse Airport - Visit Courtyard Toulouse Airport hotel and take advantage of our 186 guest rooms close to the international airport. Our Toulouse Blagnac airport hotel offers four-star accommodations surrounded by French culture, unique attractions and fine dining. Marriott�s Village d�lle-de-France - Along the French countryside, beyond the action at Disneyland Resort Paris is Marriott's Village d'Ile-de-France. Overlooking the 27-hole course at Golf Disneyland, enjoy a one- to three-bedroom townhouse with full kitchen and terrace. Holiday Inn Meeting Rooms in France - At Holiday Inn we offer meeting rooms across the France, providing choice of event venues. We have the perfect location for all occasions. JW Marriott Cannes - Welcome to the JW Marriott, the luxurious 5-star hotel in Cannes. Just 50m from the beach, with its rooftop terrace & pool, this 5-star hotels Cannes accommodations exude the elegance of the city. Abercrombie & Kent Luxury Villas - European luxury villa holiday specialists. Marriott's Village d'Ile-de-France Disneyland Paris Resort - Resort overlooking Golf Disneyland near Disneyland Paris Resort offering one-, two-, or three-bedroom, three-bath villas with full kitchens, washer/dryer and private terrace. Site includes a photo tour, hotel information, reservations, and hotel deals. Inns of France - Find Charming Small Inns and Hotels throughout France. StarStay.com - We offer a wide range of quality and comfortable hotels and accommodations in Paris and around the world. Vacation Rentals.com - Find lovely, furnished private homes, villas, and condos of all sizes throughout France. Scenic Rentals.com - Find Beautiful Vacation Rentals & Condos in France. Capital City Apartments - A charming selection of Serviced apartments in Paris offering a home away from home.